The Rebel Daughter’s exhibition celebrating 100 years of women’s right to vote has had extensive coverage in Yorkshire press, including sharing images from my Ophelia series! The exhibition was also featured on the Paulette Edwards show on BBC Radio Sheffield on 24 January and on the Cerys Matthews show on BBC 6 Music on 4 February. Open weekdays from 10am-4pm and Saturdays from 10am-1.30pm. The Point is closed on all Bank Holiday Mondays and during Easter weekend. As well as reflecting on the suffragette movement, the works on show have stimulated lots of discussion by and about women today, linking to a year long series of activities with Doncaster’s museums. Single images from my Ophelia series are on sale for the next month at the Cupola Gallery, Sheffield as part of their annual Under the Bed sale. The sale runs from 10th January to 4th February 2018 at the Cupola Gallery, 174-178 Middlewood Road, Sheffield, S6 1TD. Opening times are Monday to Saturday, 10am-6pm. 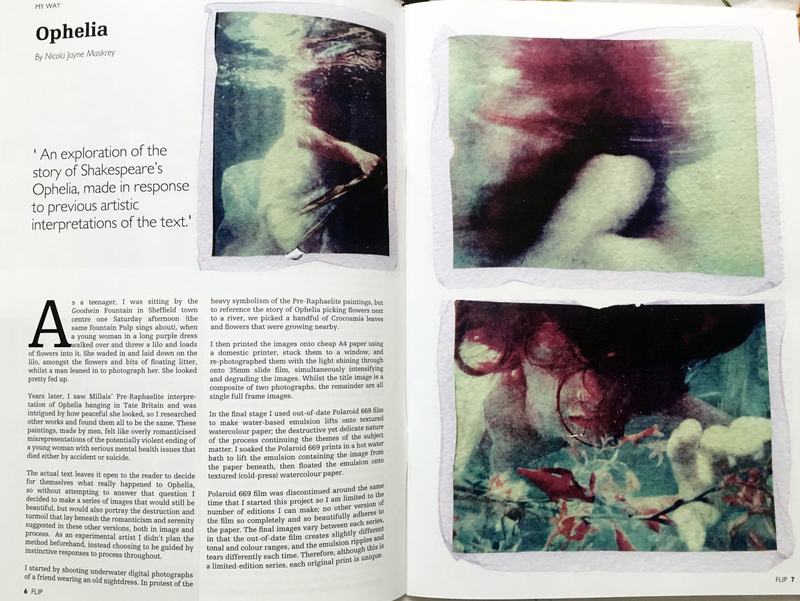 Combining underwater digital photography with alternative printing methods, this series studies the destruction and turmoil that lies beneath the romanticism and serenity suggested in traditional artistic representations of the story of Ophelia, both in image and process. 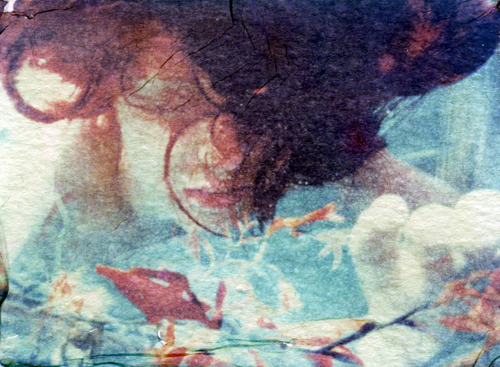 After creating these underwater photographs I repeatedly printed and re-photographed them using lo-fi techniques to simultaneously intensify and degrade the images. In the final stage I used out-of-date Polaroid film to make water-based emulsion lifts onto textured watercolour paper; the destructive yet delicate nature of the process continuing the themes of the subject matter. Each emulsion lift is handmade by me and completely unique. The mounted, unframed original prints are on sale at £44 each. If you don’t mind mixing and matching edition numbers you can collect the full set of 6 in the sale. Established in 1991, and hosting a wonderfully eclectic collection of beautiful work, Cupola remains one of the most respected contemporary galleries for the sale and exhibition of fine art & fine craft in the north of England. My Ophelia series has been selected for the Rebel Daughters exhibition, marking the 100th anniversary of the first votes for women, and launching a year-long programme of activity in partnership with Doncaster Museums. Just under 60 women artists based locally, nationally and internationally have been selected to show work that celebrates the passions and interests of women artists today. I was blown away when I discovered my work was being used for the promotion of the exhibition; a huge THANKS to DARTS for supporting my work. Here’s a shot of my image as a huge banner in the reception. Here’s also a copy of the December 2017 issue of Doncopolitan, promoting the exhibition and featuring one of my images. The Point hosts a team of artists, makers, musicians, performers and support staff who collaborate to design and deliver creative programmes which inspire learning, build good emotional health and strengthen professional practice for people of all ages who live, work or learn in Doncaster. My Ophelia series has been selected for the Summer 2017 issue of fLIP. 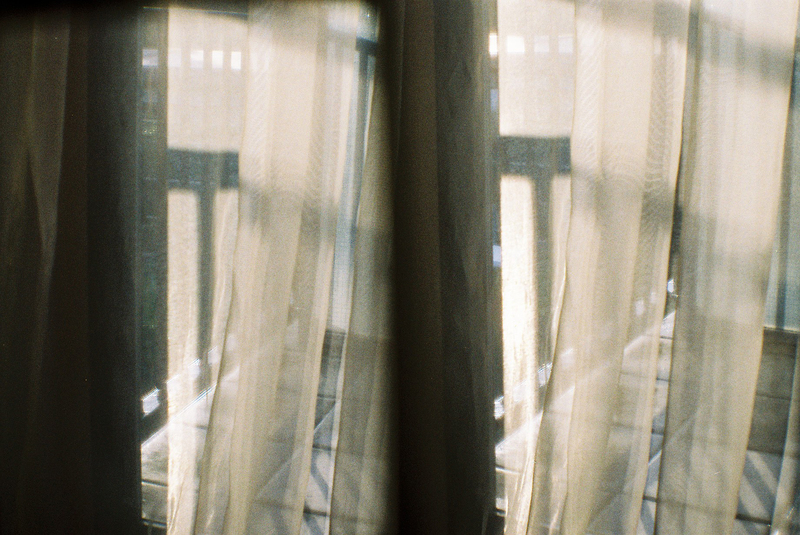 Issue 37 features work on the themes of storytelling. Ophelia is featured in the My Way section of the magazine where photographers talk in depth about their motivation and approach. fLIP is published 3 times a year by London Independent Photography. The magazine aims to showcase photography and engage readers in a wider dialogue about diverse approaches. Copies cost £4 and are available directly from the London Independent Photography website, or from the Photographers Gallery and the National Portrait Gallery bookshops in London. 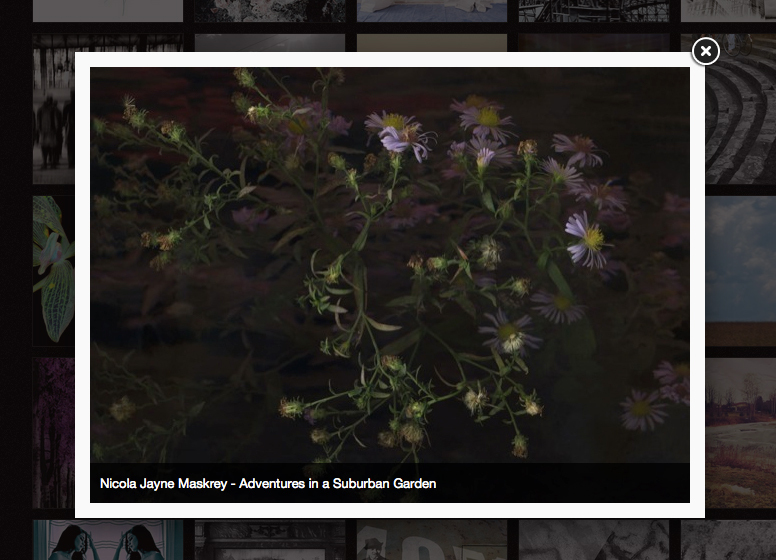 LensCulture have included my projects Chasing Shadows, and Ophelia, along with lots of great work in their Explore pages. You can find Chasing Shadows under Black & White and Urban and Street Photography; Ophelia is in the Alternative Processes section. Established in 2004, LensCulture has a global audience of over 700,000 people, and is one of the most authoritative resources for contemporary photography, committed to discovering and promoting the best of the global photography community. 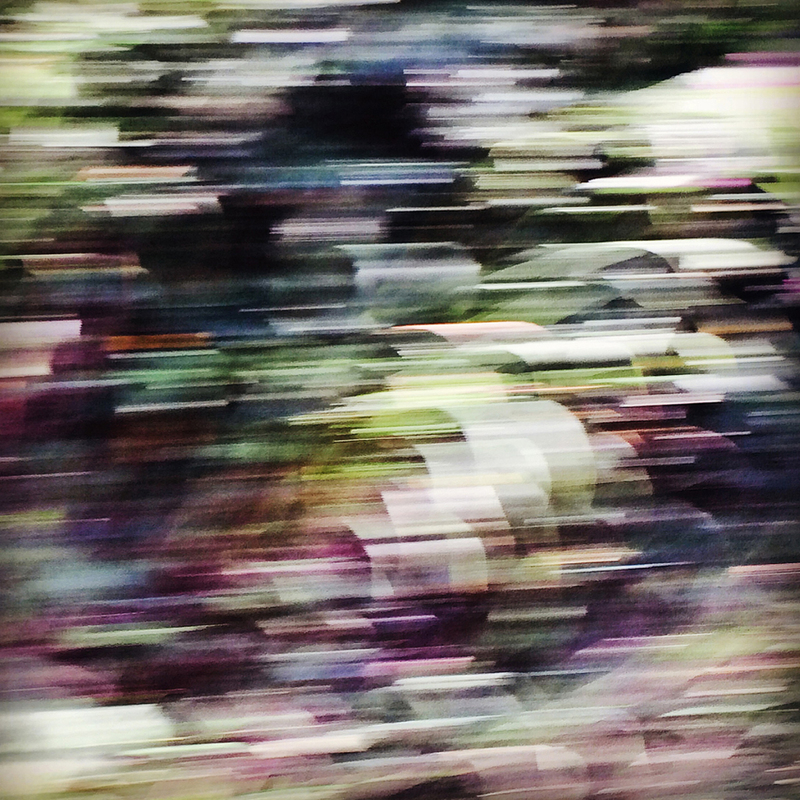 Thank you LensCulture for supporting my work! I’m really happy to have 3 images in the Berlin Foto Biennale 2016, opening on 6th October! The Berlin Foto Biennale and 4th Biennale of Fine Art and Documentary Photography, features a staggering 1200 images from 460 artists from 41 countries. The exhibition is at the Palazzo Italia in the centre of Berlin, not far from the Brandenburg Gate, at Unter den Linden 10, on the corner of Charlottenstrasse. It runs from 6th-30th October, open every day between 12pm-7pm, except Thursdays when it is open until 9pm. The Biennale is an associate partner of the European Month of Photography in Berlin, and also features a guest exhibition of Magnum Photographer Steve McCurry’s work, as well as a solo exhibition from Yusuke Suzuki, Gala Awards’ Emerging Talent. Thank you to the Biennale for including my work, and congratulations to everyone taking part! “I dreamed of you tonight. You who have the eye color of honey and when exposed to the sun shines. Clarissa had the kindness of a few, a respect for life. He told me he felt a huge void, and the rebates he passed went back and forth, made her tremble and spend hours in bed. I never understood why she, so beautiful and intelligent could not ignore the ugly. From an early age, even if not old enough to read, insisted that teach. Connecting the dots of the letters, united the words, pretending to read the comic books. As a teenager, wrote poetry … if locked-hours in the room with Clarice in hand. I read several times the same lines. He copied in the diary that he thought more beautiful. That was all for her. I want to remind you, but sometimes I forget your face shape. There was a time in which succumbed. Not left, not studying, not read, did not eat. Doctors indicated drugs she took not. Smell your journal. Spend my finger that lock of hair you gave me. Clarissa spent the days without knowing why he lived. And I, who both loved her, did not understand why she feel that way. Like everything else in his life, it was determined in ending with his grief. His decision kills me. In the dream I had today you turned a water bubble and dissolved. 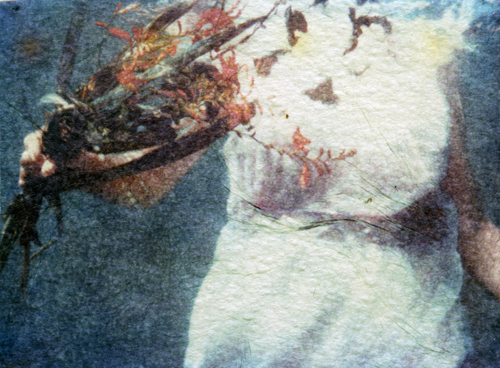 Ophelia is a series of Polaroid Emulsion Lifts onto water colour paper made in response to studying previous artistic interpretations of Shakespeare’s text. The series studies the destruction and turmoil that lies beneath the romanticism and serenity suggested in traditional representations of her fate, both in image and process. This photograph was also used previously for the cover of River Wolton’s anthology of poems: Leap. Interpretations extended – 1 week left to see it! My solo exhibition at the Free Space Gallery, Kentish Town has been extended until the end of October, so there is one week left to see the work all together. As well as showing prints from each series, I am also showing a book of images for ‘this table is sad because no one is sitting at it’. You can also see the book online at blurb. Established in 2010 the Free Space Gallery works with local and national artists within the unique settings of the Kentish Town Health Centre and the Queens Crescent Practice, two NHS facilities in north London. The Free Space Gallery delivers a programme of free exhibitions, free creative workshops and events, an art therapy course and an artist in residence programme. All of their work is generously supported by the Kentish Town Improvement Fund. 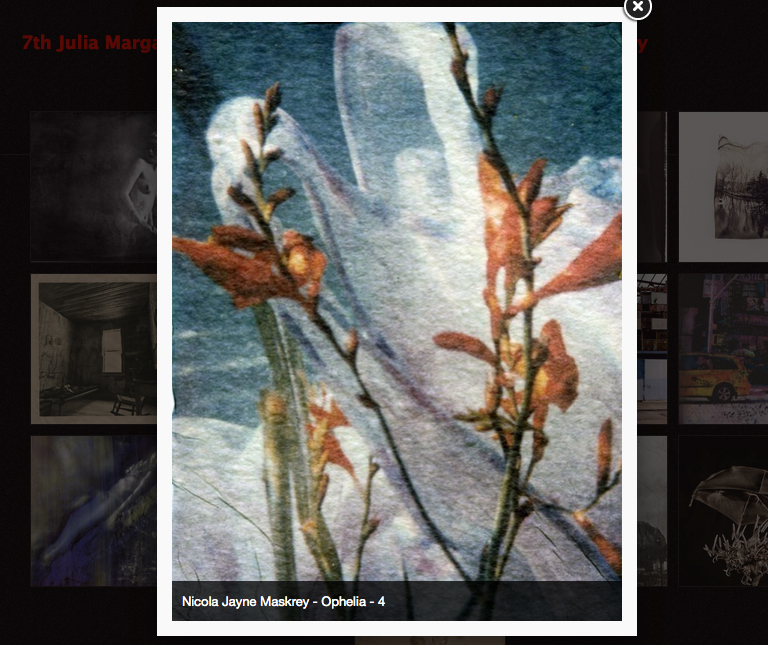 I’m happy to say that this print from my Ophelia series is in the group exhibition Do You Like Love? from Shutter Hub, hosted by Salt and Pegram. 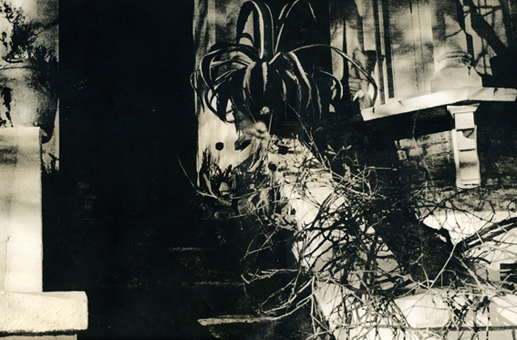 The exhibition challenges photographers to present an original response to the theme. The show will test the traditional clichés and show you something new. This image is part of a series that explores the story of Shakespeare’s Ophelia, made in response to studying previous artistic interpretations of the text. 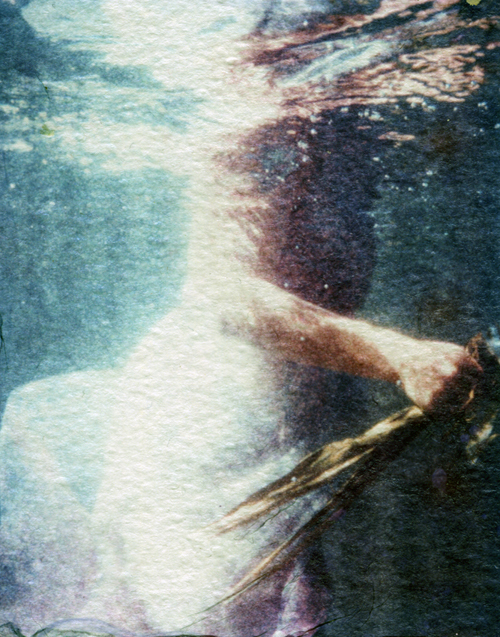 Combining underwater digital photography with alternative printing methods, this series studies the destruction and turmoil that lies beneath the romanticism and serenity suggested in traditional representations of her fate, both in image and process. 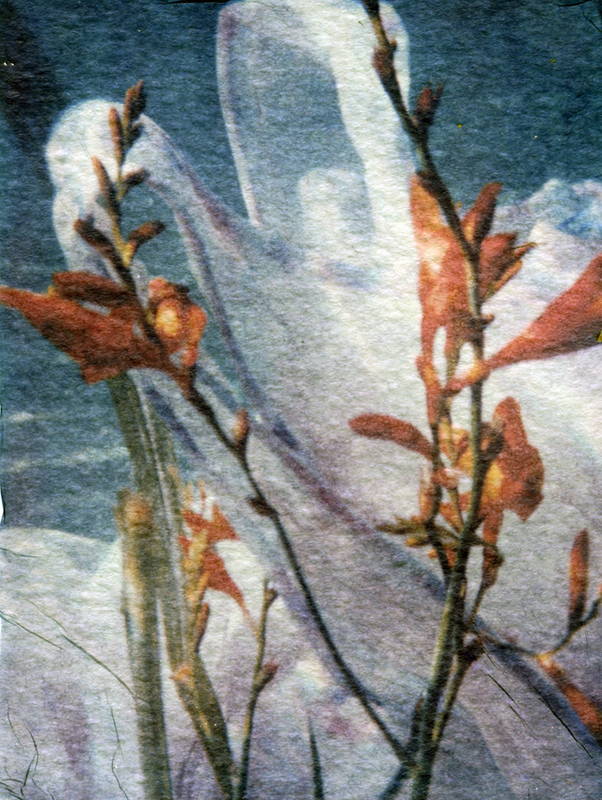 After creating these underwater photographs I repeatedly printed and re-photographed them using lo-fi techniques to simultaneously intensify and degrade the images. Whilst the title image is a composite of two photographs, the remainder are all single full frame images. In the final stage I used out-of-date Polaroid film to make water-based emulsion lifts onto textured watercolour paper; the destructive yet delicate nature of the process continuing the themes of the subject matter. Do You Like Love? 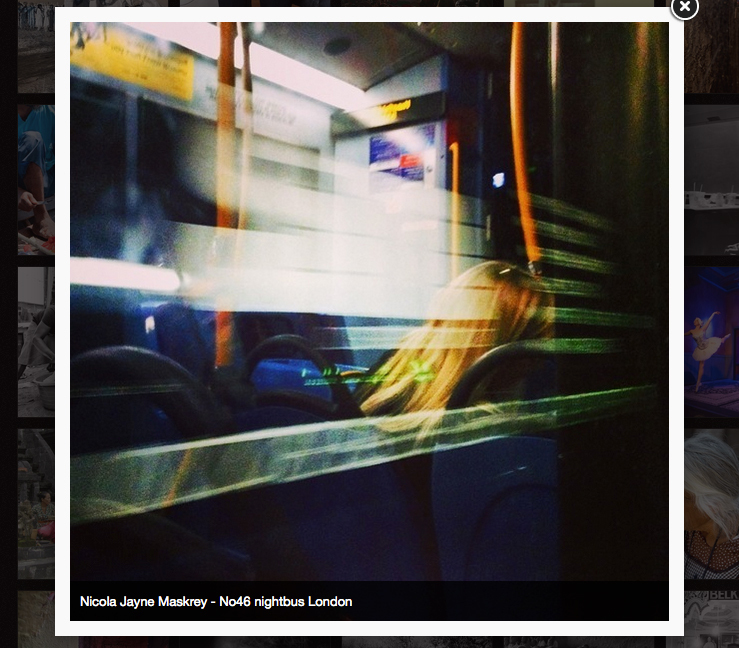 is showing as part of the Photomonth East London Photography Festival. 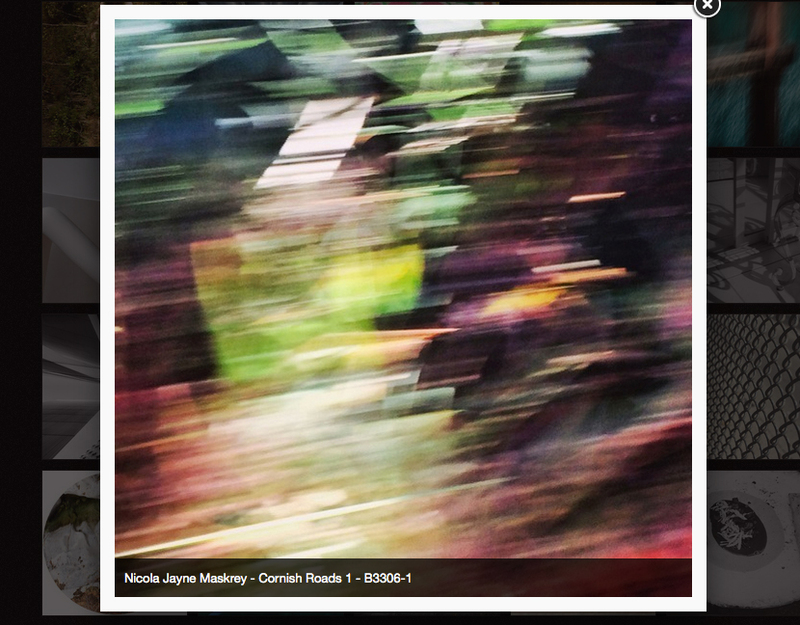 Finalist in 7th Julia Margaret Cameron Awards! I’m quite astonished and really happy to say that my photographs have achieved Finalist in 4 categories of the 7th Julia Margaret Cameron Awards for Women Photographers! Part of the Worldwide Photography Gala Awards, the Julia Margaret Cameron Award is addressed to professional and non professional women photographers worldwide. With 17 categories, Photographers are invited to submit work in all mediums, styles, and schools of thought. This year 1203 photographers from 51 countries submitted 6804 images. Congratulations to all the other winning entries!